There's a unique mastery that comes with creating an excellent dish. There are the intricacies of balancing the flavours, the challenges of an eye-catching presentation, and undoubtedly the skill of the chef. Sometimes you will find a place with an unmatched ambience, but the food is wanting. Other times, the food will be great but the service lacking. 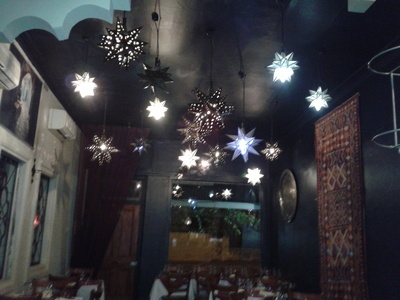 Very rarely will you stumble on the gold mine that is awesome service, great ambience and even better food. There's good, and then there's Mohamed Bartaouch, owner and head chef at Marrakech Moroccan Restaurant,and his amazing staff. Nothing about Mohamed is ordinary. Therefore it goes to follow that nothing about his restaurant is ordinary. Nothing could have prepared me for the night I first experienced Marrakech. Sitting in a restaurant on Rundle Street with some friends, stomach churning, and menu in hand ready to order, enter Mohamed who was intrigued as always to make new friends. Casual pleasantries transformed into a promise that he would make us dinner at his restaurant that very night. Needless to say, intrigue won the battle over hunger. Off we went with Mohamed to his restaurant. 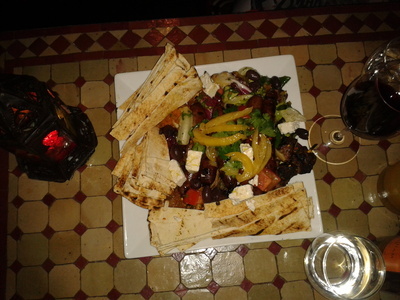 The starter was a mezze share platter consisting of warm pita bread and a variety of dips and things, lamb and chicken skewers. Sensational flavours were battling for the attention of my taste buds. I was impressed. I was intrigued. I wanted more. What next? You would never imagine. If you are Moroccan or have been to Morocco, you know I'm talking about - the almighty bestella. I thought we had skipped to dessert, my favourite part of the meal. Maybe this is how they do things in North Africa? I wasn't complaining. I questioned Mohamed on the ingredients of this yummy sweet thing, quite frustrated that I couldn't already guess the ingredients. Chicken, cinnamon, icing sugar, almonds. What? My tongue had been tricked! The sweetness of the bestella and the careful zing of the accompanying salad followed by the crunch of the roasted almonds - what clever sorcery. Ah but wait - the tagines were yet to come. 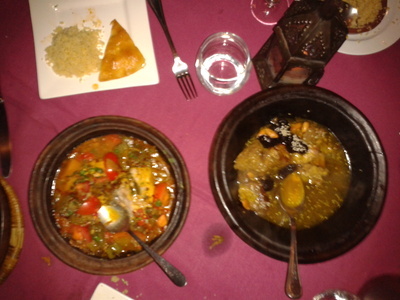 Tagine is to Morocco as beer is to Australia - it is in the core of every meal. Fish, lamb, chicken and beef. Bring anything into those doors, and I am sure Mohamed can whip up something magical with his North African flare. Served with warm bread I have tried to look for everywhere but cannot find save for when I'm in the confines of Marrakech, the tagines each have a unique flavour, each one more tender than the last. 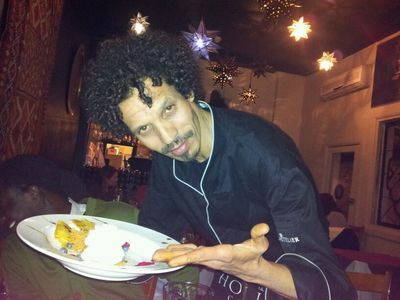 I watched as Mohamed came round to each of our plates for a slight demonstration. Our baffled faces must have tipped him off. Dip each side of your triangle of bread in the tagine of your choice, and take a bite - mmm the joy. And of course, what is a Moroccan meal without couscous - so fluffy it slides around in your mouth in a victorious dance. I sat there unable to breathe, sure that the button on my trousers would pop if I did. Mindless banter with Mohamed informed us that he also does catering for all sorts of events. Visit the website for bookings and more. I was now ready to soldier on. I looked at the dessert menu, ready to order some chocolate-filled North American treat. Alas, there was no chocolate. I was just about to close the menu in despair when Mohamed explained that his dessert came with a lovely pistachio fairy floss that we simply, absolutely must try. Fairy floss? Go on then, humour me. 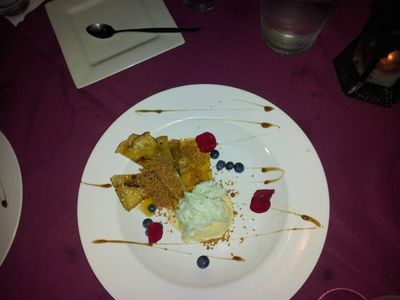 We ordered one of each of the desserts: the Moroccan pancakes and the meslala sweet couscous dish with roasted almond. Sweet Jesus! Go there. Taste it. Get back to me when you do. Oh yeah, and a 9/10 for the restuarant too...been there. Sounds perfect, I'm looking for a halal place to take a friend. Never realised how difficult it was to find a Halal restaurant in Adelaide! Just a quick question... whats the price range for this restaurant? My all time favourite restaurant in Adelaide - very happy to see that you agree. Mohamed is an absolute legend, I recommend any who go there to ask him for a joke - he has an unlimited supply. 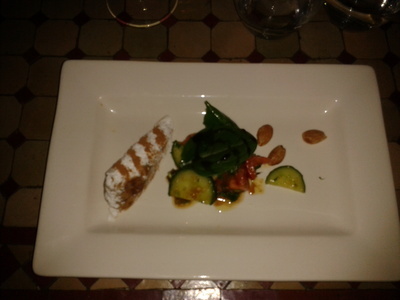 Without a doubt the best food I have ever tasted in Adelaide, and the best most memorable service and dining experience. 10 stars, 10 out of 10, worth every penny, highly recommended.